Donate! Garage sale items can be dropped off after April 18 at the Mugan’s home, 751 Eddington Drive. Please call ahead to make sure that someone will be there. Karen can be reached at: 577-9141. Also, spread the word that Al Guyant is willing to pick-up items that people are able to deliver before the sale. You can arrange for pick-up by calling 825-8844. Note: as in previous years, unsold items will be donated locally to support local families. Volunteer! We need volunteers to help set-up, sort, and price on the Tuesday and Wednesday before the sale, volunteers to work on Thursday, Friday, and Saturday and also a take down crew to transport any unsold items to donation sites. Sign up online to volunteer! 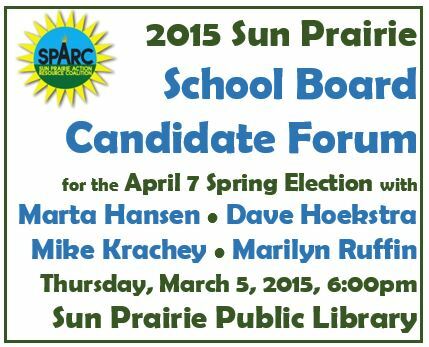 All four candidates for the three open seats on the Sun Prairie Area School District Board are confirmed to attend the SPARC School Board Candidate Forum on Thursday, March 5, 2015 at 6:00pm at the Sun Prairie Public Library, 1350 Linnerud. SPARC collected questions from the wider community, which were used to identify the themes and issues that seemed of most concern to Sun Prairie voters. For a sneak peek at the questions, and to see the event agenda, click here. After hearing the candidates respond to the questions collected from community members, the audience will have opportunity to ask additional questions. The candidates are Marta Hansen, Dave Hoekstra, Mike Krachey and Marilyn Ruffin. The event will be moderated by Mike Hietpas. This forum is free and open to the public. All are welcome! For more information, please contact SunPrairieAction@gmail.com. SPARC will hold a public forum with the candidates for City Council and Mayor on Sunday, March 23 at the Westside Community Building. Suggestions for questions for the candidates may be sent to SunPrairieAction@gmail.com by March 8. It’s that time of year already and SPARC invites you to mark your calendars for our spring candidate forums! As in previous years, we invite members of SPARC and the wider Sun Prairie community to send ideas for questions for the candidates to SunPrairieAction@gmail.com. Our forum committee will then meet to look for patterns and common themes in the issues that matter most to local voters, and use these to compile the final list of questions that will be used at the forum. This is the best, most democratic way we know to make sure these candidate forums truly represent the concerns and values of our community! There will also be time reserved at both forums for general Q&A from the audience. The events will be filmed to air on KSUN. We hope you can join us and invite you to send your questions asap to SunPrairieAction@gmail.com. Deadlines: Feb. 22 for School Board questions, March 8 for the Council/Mayoral questions. 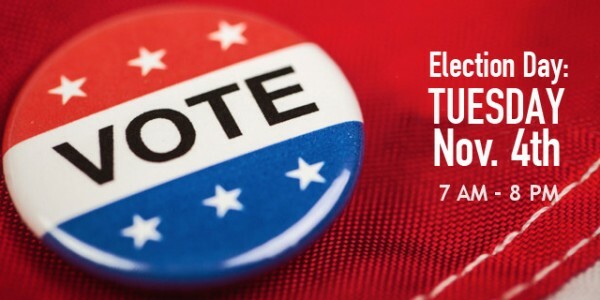 We also remind you that the Mayoral Primary Election is Tues. Feb. 17 – don’t forget to vote!!! Only the top two candidates will be at our forum, so make sure to vote! Click here for links to more info about the candidates. SPARC will put together our usual voter guide soon. The Spring Election will be held on April 7, 2015. Spring Elections matter most to local control of local communities. Let’s set the bar high for our candidates and ourselves! We look forward to seeing your questions and seeing YOU at the forums! The SPARC Local Action Fund 501c3 will hold its quarterly business meeting on Mon. 11/24 at 1:00 pm in the Community Room of the Sun Prairie Public Library. We especially invite attendance by those who wish to get involved with the fundraising and grant writing efforts of this charitable arm of the Sun Prairie Action Resource Coalition. Funds raised through the SPARC Local Action Fund support our SnackSmart program to provide healthy snacks to hungry students in Sun Prairie public schools and other community projects. If you would like to help with these efforts or get more involved, please contact us at SunPrairieAction@gmail.com. The Nov. 4 Election Day was a beautiful day for democracy in Sun Prairie! Thought Sun Prairie might like a picture of the LOCAL election results. Voter turnout in Dane county was nearly 73% and here in Sun Prairie, 12,915 votes were cast in the governor’s race! We had thousands of voter registrations almost ran out of ballots. The clerk literally printed extra ballots herself and we were prepared to handcount votes and only just missed having to do so! On the minimum wage question, 65% of Sun Prairie voted YES to raising the minimum wage to $10.10 and 34% voted NO. On both the question of accepting federal Badger Care fund and the transportation fund question, 75% of Sun Prairie voted YES. It was wonderful to see long lines at every polling place and to see so many people so eager to cast their votes! So nice to live in a community where so many people are so engaged, informed & involved! Once again, Sun Prairie sets a high bar for the rest of the state! The spring elections will be just around the corner, when we’ll have opportunity to vote for the offices that matter most to our community. Seats will be open on the school board and city council – SPARC would love to see members of our network continue to step up and run for these seats! SPARC is thrilled to report a major step forward in our efforts to advocate on the issue of student hunger and the problem of teachers & staff trying to help by paying out-of-pocket to feed kids at school. While the board rejected the tax levy increase approved by voters at the annual meeting, the revised budget that the school board passed last night includes $19,000 that will be used as a starting point for an elementary Fruit Bowl pilot, making whole fruit snacks available to any kid who needs one during the school day. Our tax levy remains the same as last year. This action is just a beginning, but it’s also the result of many presentations, conversations, emails, discussions, and appearances at school board meetings that helped launch this effort and open eyes to the impacts of student hunger in our schools. We so appreciate the board members, administrators, teachers and staff who have been listened seriously to our concerns and started the process of working toward sustainable solutions to addressing the needs of hungry students. As Dr. Culver said recently, we truly are fortunate to live in a community where our schools and our students are so valued. SPARC has been asked to continue helping address hunger needs at the middle and high school levels while the district’s administrative team looks deeper into the ways student hunger affects teaching and learning in our schools. Our next step is to talk to the staff at these schools and see how we can be of the most help. We know from the survey we conducted last year that the needs are even greater in the upper levels than at the elementary schools, so we appreciate your continued support of our program as we continue to advocate for systemic solutions to this problem. For more information on how you can help, please visit: https://sunprairieaction.org/snacksmart-the-sparc-local-action-fund/. As always, we thank you for your support and welcome your ideas and suggestions for how we can continue to help in our small way to move Sun Prairie forward! As we’ve learned through the SnackSmart program, change is slow but our efforts ARE making an impact, and moving one step closer to making sure every kid in our community has an equal shot at success. 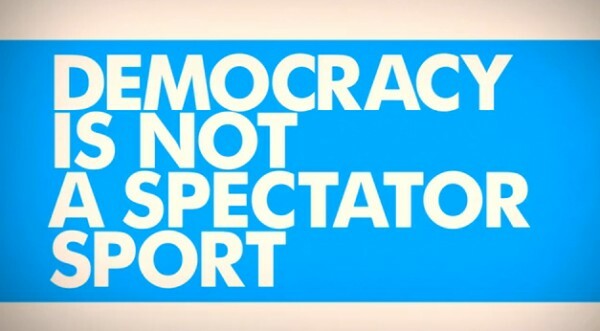 We also want to remind everyone how absolutely critical it is to VOTE in the Nov. 4 election. Polls are open from 7am-8pm, or you can still vote in-person absentee until 10/31 at City Hall from 8am-5pm. It’s a busy fall in Sun Prairie and SPARC put together this Local Action Guide to help you keep track of what’s important to our community! Scroll down for updates & announcements of important events and volunteer opportunities. This is the all-important annual meeting where taxpayers VOTE to set tax levy and approve the annual budget. In previous years, proposals have been made by citizens at the meeting that have a major negative impact on the budget, so it’s absolutely critical that EVERY VOTER who cares about our schools attends to make sure the budget it passed at a level that assures success for all learners, and to ensure that any proposals that are passed at the meeting truly reflect the will of the community. All voters of the SPASD are eligible to vote at the meeting – and “futures depend on us” to be there and support our schools! Tuesday, Nov. 4 is ELECTION DAY! Help Sun Prairie Get Out the Vote! VOTER REGISTRATION & INFORMATION: Need to register? Not sure where to vote? Visit My Vote Wisconsin to find your polling place, see a sample of the fall ballot, and learn what you need to do to register. You can register at the polls on election day or you can register in advance in person at City Hall or the Sun Prairie Public Library. Be sure to bring proof of residency with you to register! Not sure if you have what you need to vote? Check out this handy new interactive voter guide from United Wisconsin to find out! EARLY/ABSENTEE VOTING: You can vote early (in-person absentee voting) at City Hall from Oct. 20-Oct 31. Alternately, you can request that an absentee ballot be mailed to you (requests must be made by Thursday, Oct. 30 and ballots must be postmarked or returned to City Hall by 8pm on election day). 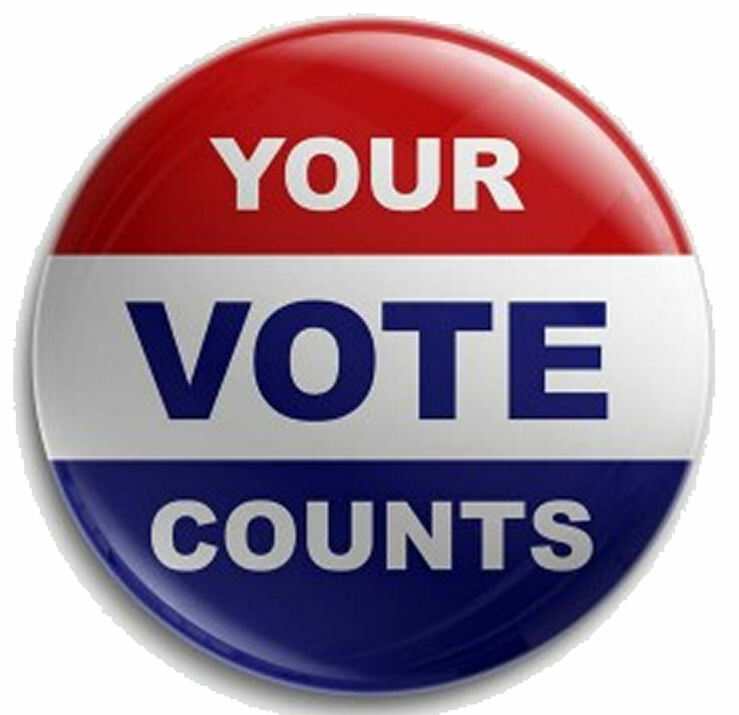 Sun Prairie residents can click here for more information about Absentee Voting. UPDATE: Due to the US Supreme Court ruling, the VOTER ID law will NOT be in effect for the Nov. 4, 2014 election. Voters are not required to show proof of identification. The only documentation an unregistered voter needs is proof of residence to register to vote. VOTER ID LAW: As of today, the voter id requirement WILL be in effect for the fall election, so please encourage everyone you know to be prepared at the polls and help spread this important information. SPARC has several volunteers lined up to provide FREE rides to the DMV for anyone who needs one. Just email SunPrairieAction@gmail.com to make arrangements. Acceptable forms of photo ID: Click here for a list of acceptable IDs. Click here for the complete rules. (GAB). Information for Voters without ID and Without a Birth Certificate (League of Women Voters) More on this at the GAB website. The City of Sun Prairie needs your help to ensure a fair and smooth election on Nov. 4. Full and half-day shifts available, compensation provided. Must attend one of four training sessions that will be held on Oct. 22 (4:30pm), 23 (9am), 29 (5pm), and 30 (9am). For more information, contact Arrin Linzenmeyer at City Hall – alinzenmeyer@cityofsunprairie.com or 837-2511. NAACP Candidate Forum, Oct. 9, 2014. 5 – 9 p.m., Edgewood College, Anderson Auditorium – Predolin Hall, 1000 Monroe Street, Madison, WI. This event is free and open to the public! Community Session on Testing and Assessment for Grades K-12. Wed. Oct. 15, 6:30pm, Sun Prairie High School. RSVP on the SPASD facebook page. Sun Prairie Area Schools is now on facebook and twitter. Be sure to follow them to stay informed of news and events. Sun Prairie Reads main event! An evening with Seedfolks author Paul Fleischman. October 17, 6:30pm at the Sun Prairie High School PAC. SPr ARC was honored to partner with the library for our “Growing Community” series of discussions and the Grow it Forward Community Art & Action project – be sure to get to the library to post your flowers on our community mural in advance of the author’s visit! Did you know Union Cab of Sun Prairie provides FREE CAB RIDES TO THE POLLS ON ELECTION DAY for anyone who needs one? Call 608-837-5550 or 608-242-2020 to arrange a ride, and be sure to thank this worker-owned cooperative for this wonderful service to our community! School Board Committee Positions are Available. Apply Today! The Sun Prairie School Board is seeking community members to serve as citizen representatives on two of its committees. Community input has been a valuable asset to the work of the School Board. Each committee meets once per month. Appointment is for two years beginning November 3, 2014. Planning Committee — 2 citizen representatives needed. This committee is responsible for the development of planning for the District’s instructional and operational/business functions, helping to provide the School Board with a common focus for decision-making. Meets the 1st Monday of each month at 6:30 pm. Performance & Operations Committee — 3 citizen representatives needed. This committee is responsible for monitoring and providing guidance to the School Board on all items pertaining to the current fiscal and/or academic year. Meets the 3rd Monday of each month at 6:30 pm. If interested, please mail or deliver a letter with your name, address, telephone number, and a statement not to exceed 500 words about your qualifications and interest in appointment to serve to: Chandu Vemuri, Sun Prairie Area School District, 501 South Bird Street, Sun Prairie, WI 53590. Applications Due: Monday, October 13, 2014 by 4 pm. You do not need to specify the committee for which you’re applying unless you have a preference. Any adult resident in the Sun Prairie Area School District is eligible to apply for appointment. Interviews with interested applicants will be held during the week of October 20th. Prairie Job Connect meets every Tuesday from 10-noon at Sunshine Place, 1632 W. Main St. “People of all education levels, work histories and backgrounds are welcome” to drop in “to meet with a team of professionals is available to help build resumes, walk though applying for jobs online with on-site computers, finding employment postings and develop other skills needed to navigate the job market.” For more information, call Vreugdenhil at 608-825-3225 or email her at vreugdenhil@countyofdane.com. Schools of Hope is looking for tutors in math and reading to work 30-45 minutes a week with one student over the school year. Application materials available online. School Friends – a mentoring program through Dane County Big Brothers/Big Sisters – needs volunteers to match mentors with 70 kids in Sun Prairie schools. Click here for more info. Sunshine Connections – volunteers are always needed to help with local programs like Meals on Wheels, Sunshine Suppers and more. Visit Sunshine Connections for more info. Interested in volunteering on a local campaign? Please note that while SPARC is a non-partisan civic organization and doesn’t support or endorse candidates, we’re happy to pass on information about opportunities to get involved, and we encourage everyone to take an active part in the fall elections and promoting civic engagement in Sun Prairie! We gladly share information that our members ask us to pass on to our lists.The Sun Prairie for Mary Burke office is located near Kwik Trip, at 1150 W. Main Street. The phone number is 608-422-2999. Stop in between 8AM and 8PM to see how you can get involved: making phone calls, canvasing door-to-door, preparing food for volunteers, preparing materials, decorating the office, the opportunities are endless! The office will be holding a kick-off celebration on Saturday, Sept. 27 from 2:30-5:30 pm. RSVP here.Click here to find the nearest GOP field office (if there’s a local office, no one has shared that info yet). Have news or announcements to share in the SPARC Local Action Guide? Email your suggestions to SunPrairieAction@gmail.com! 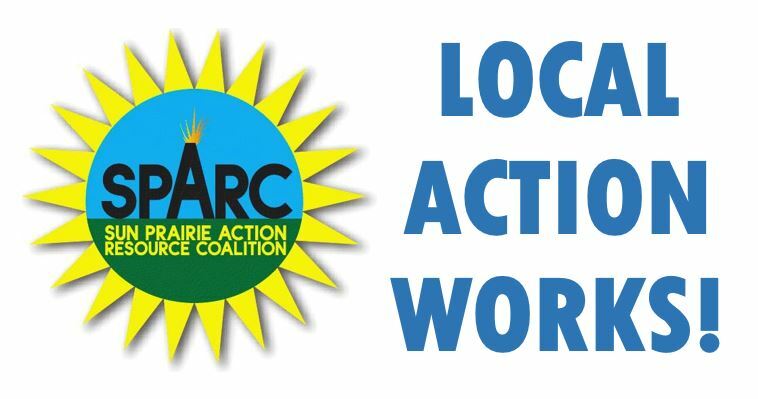 The Sun Prairie Action Resource Coalition is thrilled to report that the IRS has officially approved our application for 501(c)3 status, which means that we can now fully expand our efforts to make a local impact through SPARC Local Action Fund, the charitable arm of SPARC. Many thanks to all on the SPARC team who worked so hard to make this happen, and to the many community supporters who continue to make our efforts possible. The SPARC Local Action Fund has been established to provide a mechanism for SPARC to serve the community by applying for grants and soliciting donations to help promote equity, build community, and fight hunger in Sun Prairie through such programs our existing SnackSmart program, which provides healthy snacks to hungry kids in all seven Sun Prairie elementary schools and Prairie Phoenix Academy. Donations can also be mailed to SPARC Local Action Fund, 6325 Devonshire Lane, Sun Prairie, WI 53590. Donations received by mail are not subject to fees, so if you intend to make a larger donation, this ensures every dollar goes directly to the community. Please email SunPrairieAction@gmail.com with any questions. Click here for more information on the program and how you can get involved.